The black dahlia is a flower steeped in mystery and intrigue. Although the name Black Dahlia is well known, it may surprise you to know that in the flower world there is no such thing. In fact, there is no such thing as a true black flower. The color does not exist in the world of flowers. There are, however, a couple of dahlias that come close to this infamous shade and are perhaps the next best thing for the gardener who likes flowers that are a little dark and mysterious. The name Black Dahlia was a nickname given to a murder victim in January, 1947. Elizabeth Short was a 22-year-old woman who moved to Hollywood, California, in hopes of becoming a movie star. Instead, her mutilated body was found by a passerby in a vacant lot near Hollywood. Legend has it that the journalists covering her murder dubbed her the Black Dahlia because of her black hair, black clothing and the constant wearing of a single dahlia flower in her hair. More than 60 years later, the Black Dahlia’s murder remains unsolved. Although there is no true black dahlia in flower form, that has not stopped people from looking for one or breeders from trying to grow one. Dark red or dark burgundy dahlias with names such as, dahlia burgundy black flower and dahlia Black Beauty almost appear black. The Dahlia Arabian Night, however, is often thought of as the closest thing to the holy grail of the black dahlia and its deep purple-maroon color makes for a stunning floral arrangement when placed with white phlox or other white flowers. Dahlias are typically planted from mid April through May. They require an area where they will receive about eight hours of direct sunlight to do well. 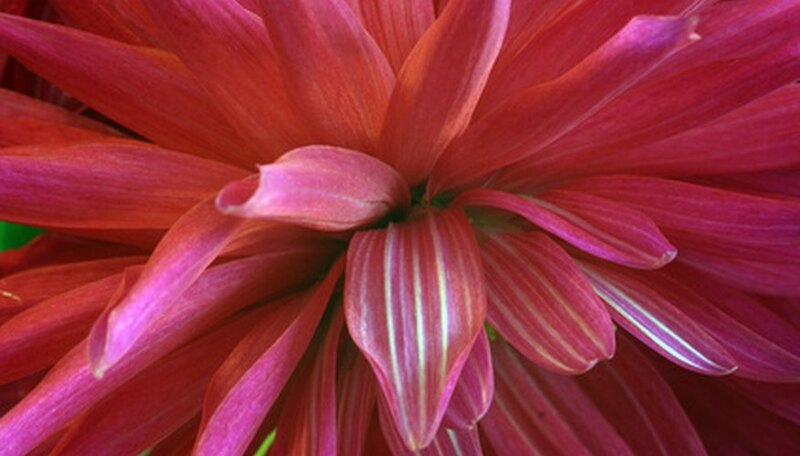 The root of a dahlia is called a tuber instead of a bulb. Dahlia tubers are generally planted 4 to 6 inches deep and spaced 18 to 24 inches apart. Unless they are planted in an area that has an exceptionally hot climate, dahlias are not generally watered until the first sprouts begin to appear through the ground. Once they are established, dahlias are then watered two or three times per week for maximum growth and blooming potential. There are several pests that can cause problems for dahlia growers. No matter the flower color, snails and slugs will eat new sprouts, leaves and even the stalks. Leaves turning yellow and spotting are often a sign of spider mites, while earwigs and cucumber beetles may eat the petals from the blooms. Fortunately, a general pesticide will take care of most of these pests and bait can be placed nearby about two weeks after planting for the control of slugs and snails. Although dahlia tubers may remain in the ground through the winter, they are not hardy and may rot or freeze. It is preferable to dig the tubers up after a killing frost or during mid-November if there has been no frost. Once they are out of the ground they can be stored in a crate or box with a medium of slightly damp peat moss or sawdust shavings.